You have 1898 characters. Don’t forget to add important and relevant keywords in your description to improve your iTunes app page and optimize your SEO. 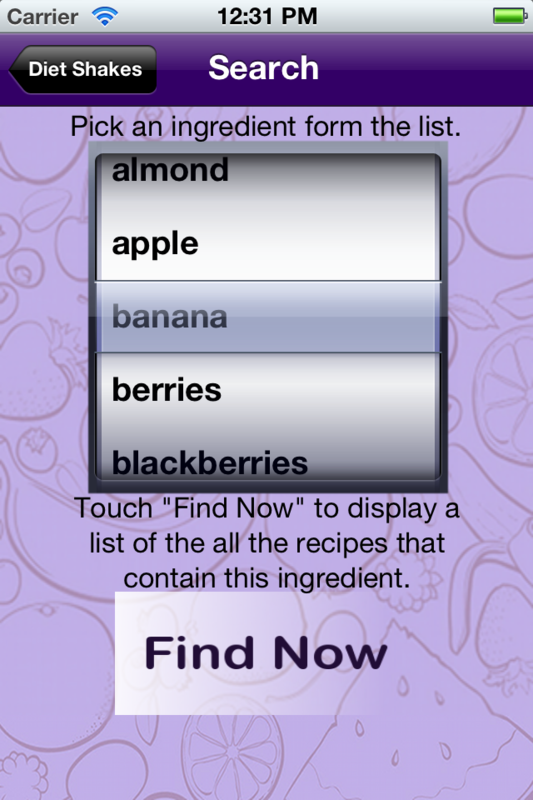 Your app's last version was released on May 03, 2012. It is important to regularly update your app. Best practices recommend to update your app every 4 to 6 weeks. This means fixing reported bugs, improving existing features, launching new features etc. Keep an eye on users' feedback. The next great features may already be asked by many users. Have you tried everything and saw little results or gained it all back. Tired of spending a lot of money and time with memberships and expensive and tasteless meals. ★ Do you want to maintain your current shape but need more vitamins, minerals and protein? 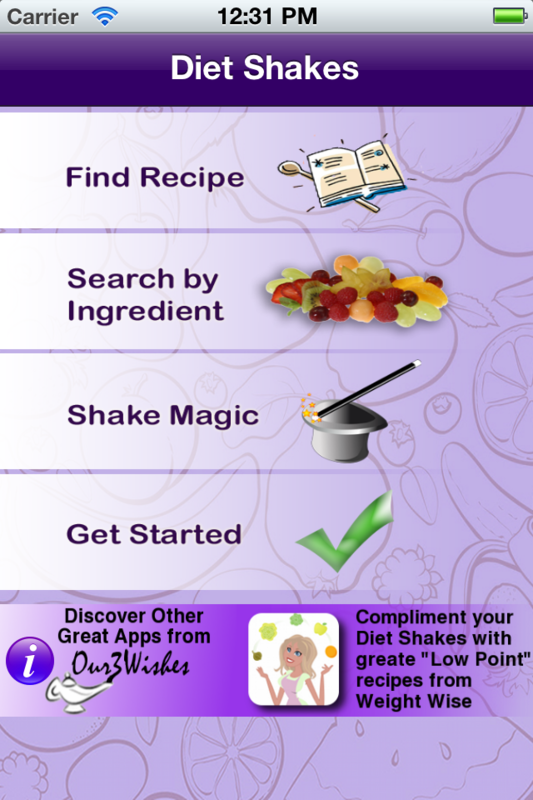 This app contains over 150 recipes that will have you “shaking” off those unwanted pounds, while getting you healthier then you’ve ever been. This fast food made healthy is easy to make, tasty and great to take on the go. Kids love the delicious taste and will feel full longer, desire less sweets and snacks, and gain vitamins and minerals that most children are not getting enough of. These shake recipes can be used successfully as a meal replacement containing all the vitamins, protein, fiber & nutrients you can’t even get in one meal, with only 90 calories. 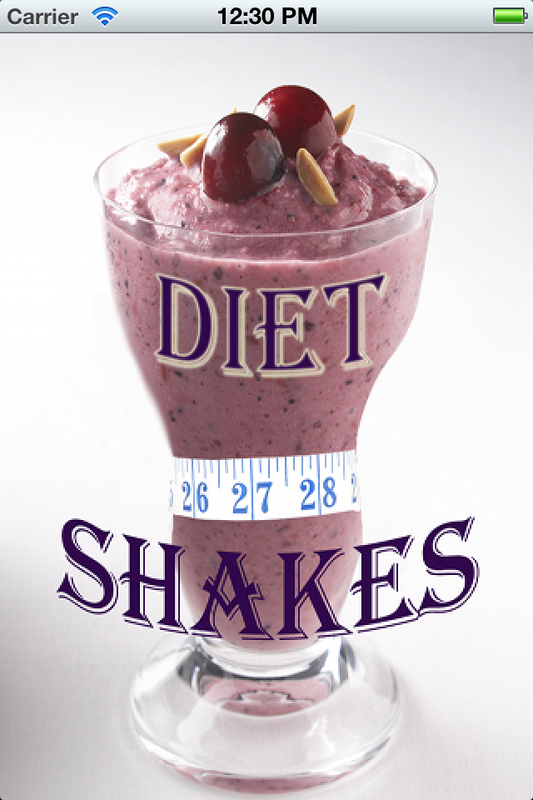 Enjoy it with your existing weight loss program at only 2-3pts depending on what you add to your shake. Mix the shake mix in with soy milk, nonfat milk or, plain water if you prefer, to create a great tasting shake that can replace a meal. 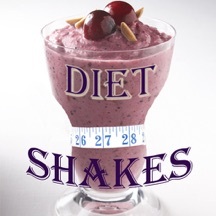 Use the shake for two meal replacements a day for optimal weight loss. Eat reasonably for your third meal and have healthy snacks and you’re on your way to weight loss and better health. 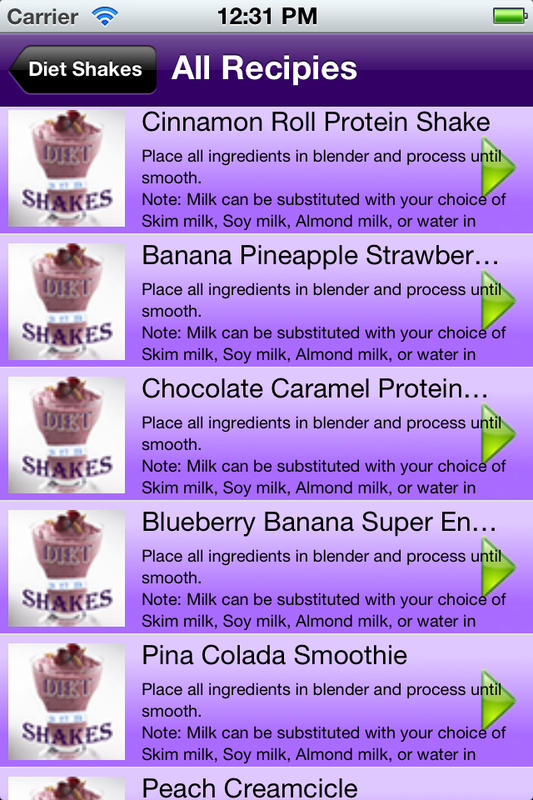 These great shake ideas will give you a wide range of a variety. You will be amazed by the second day, how full you feel, and how your desire to eat is dramatically reduced. For less then 1.65 per shake, imagine the money you will be saving. See for yourself before and after pictures. Real people with real testimonials. We are available by phone or email anytime, for additional FAQ’s and information. The support you need to begin your transformation today.